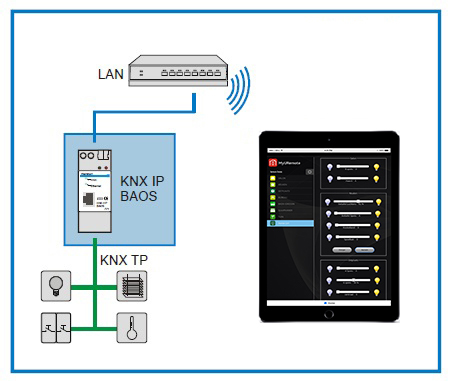 The KNX IP BAOS 771 is used as interface to connect to KNX/EIB both on telegram level (KNXnet/IP Tunneling) and on data-point level (KNX Application Layer). BAOS stands for “Bus Access and Object Server”. This device can be used with ETS as a programming interface. As ObjectServer the device supports up to 250 data points. It is possible to connect to KNX/EIB-Bus (telegrams) as well as to data points (communication objects) via LAN and MyURemote. 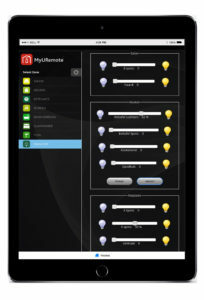 Why MyURemote is the KNX app for you? 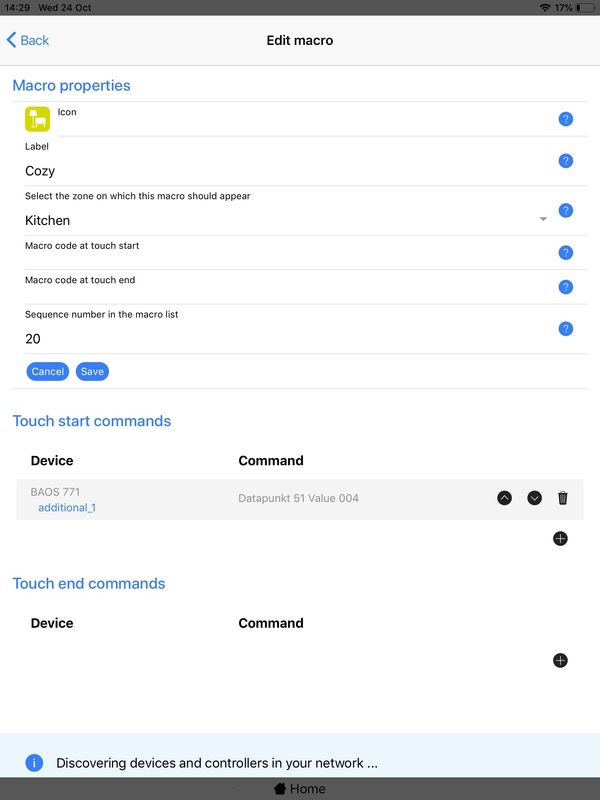 The way for anyone who’s looking for an easy and affordable way to use an iPhone / iPad or Android as home control is to combine MyURemote with a Baos EIB/KNX Gateway. You can control the objects divided into zones and each zone can provide an unlimited number of controls. MyURemote receives live indications (e.g. status feedback) and visualises the status of every home object. Create your own scenario’s using macro buttons (without a home server or any other expensive ‘smart’ device). 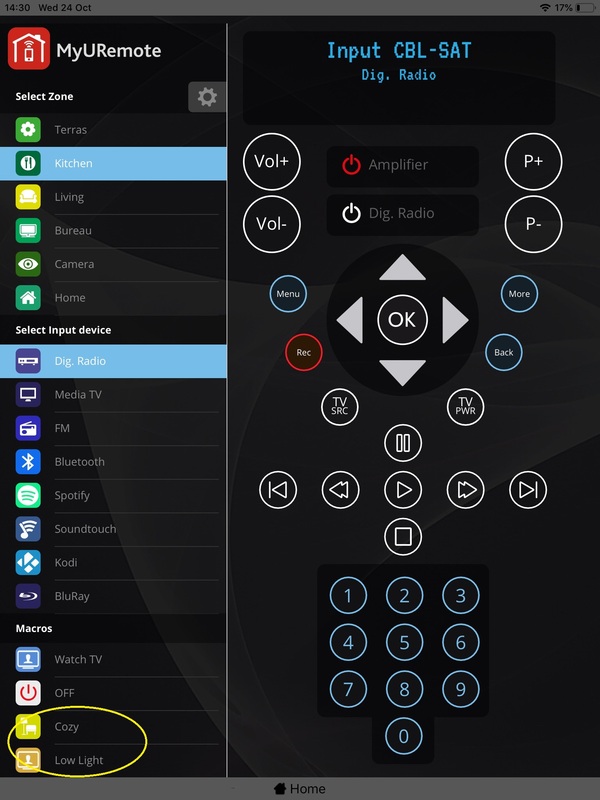 Combine home theater control and home control in one app. Use ETS software and do the IP settings as well as the data points for your Weinzierl BAOS gateway. The domotics parameters are called “datapunkt” (= related to the group adresses) you want to control or vizualise. – Use datapoints 1-40 for 1-bit group addresses. 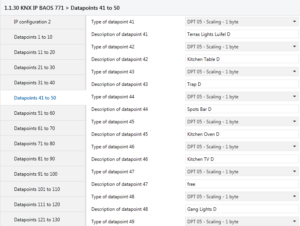 – Use datapoints 41-80 for 1-byte group addresses. 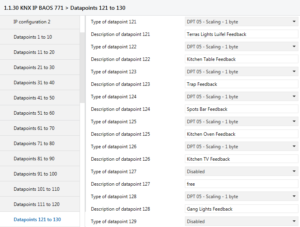 – Use datapoints 81-160 for status feedback group addresses. 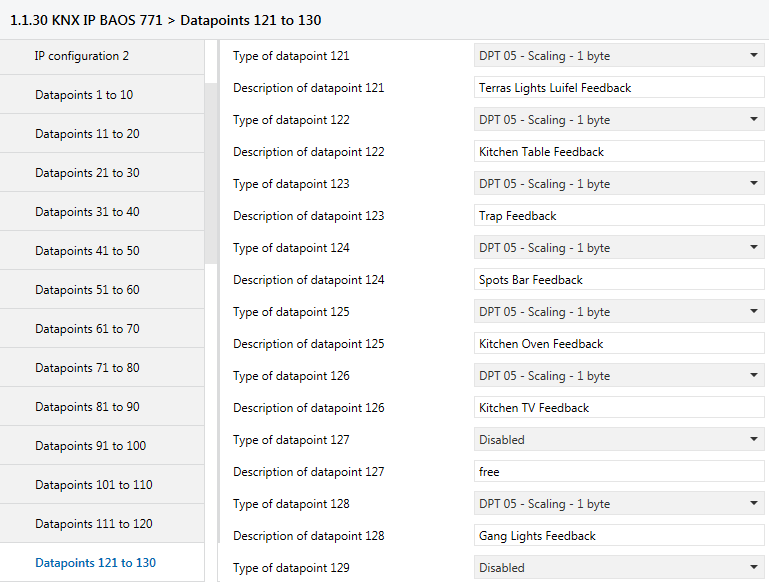 – The desired format of the datapoint value for Dimmers is DPT5 8 Bit Unsigned Value! – The desired format of the datapoint value for Screens is DPT1 1 Bit (Boolean, up-down) and DPT5 8 Bit for status return! Open the webbrowser and goto myuremote.com/configuration. Log in to your configuration. Home control using Macro Buttons in the AV Interface. Home control using the Domotics Interface. 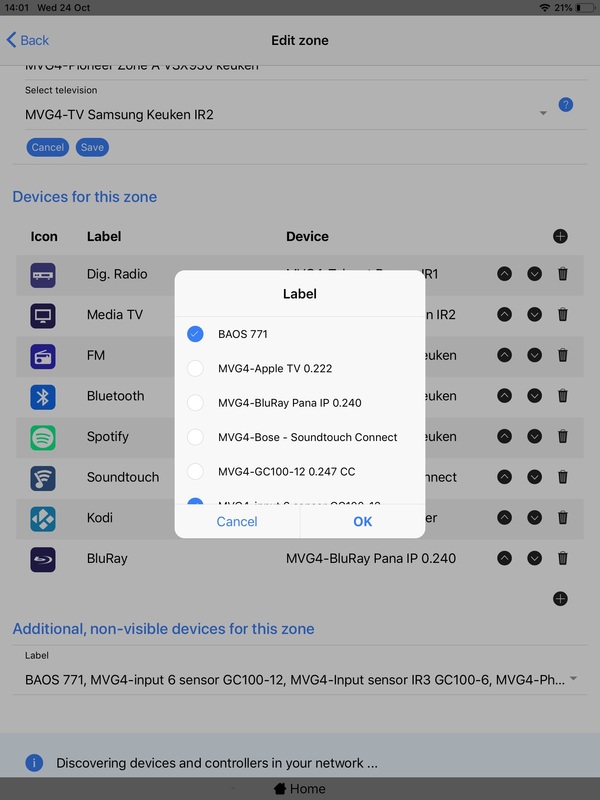 Open the zone you want to add macro buttons and add the BAOS to the additional, non-visible devices. Goto MACROS and add a new. Select the successive commands you want to send to your BAOS. 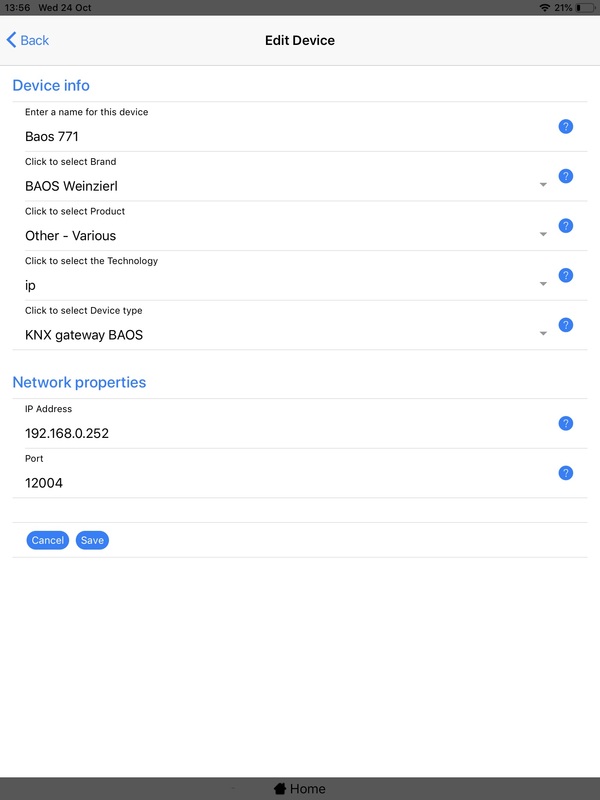 The BAOS and your mobile should be connected to the same LAN. 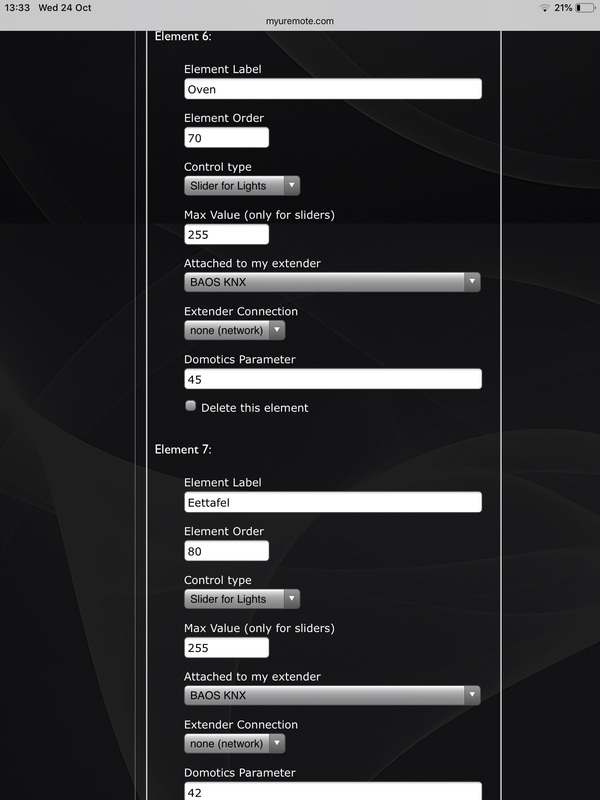 Enter the IP address of your BAOS in the controller settings. If you don’t know know the IP of your BAOS you have to check the properties of the BAOS in ETS. Goto the Settings tab, click on “My Tabs”. Edit your “Home control” tab or create one. 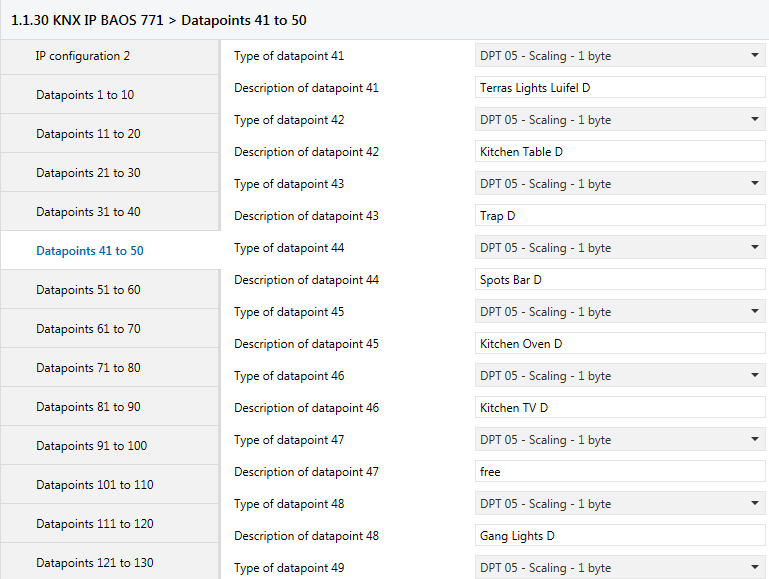 For each element, click “Add element”, enter label, element type and domotics parameter. How to combine KNX commando’s with AV commando’s in macro’s? 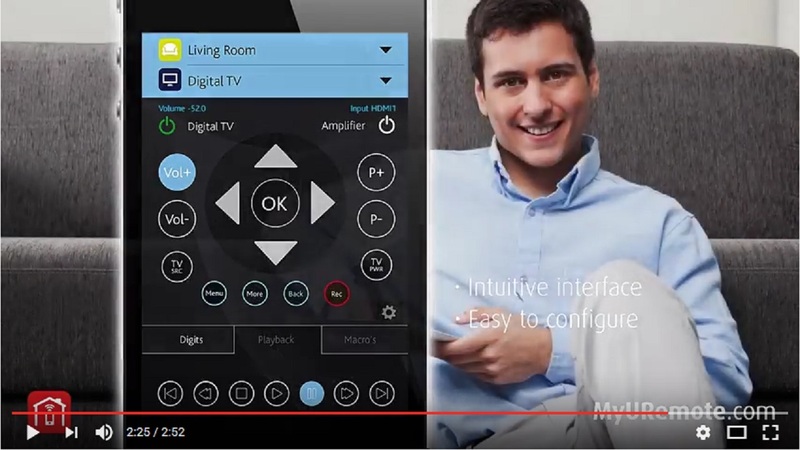 You can combine KNX commands the same way as you do with Audio/Video devices. Here is how. Note you will have to add a BOAS Weinzierl (network control) or Zennio (serial RS232) to your devices. Add the device to your zone and the commands will be available for use in your macro’s. Success!